The thyroid is a gland. It produces hormones that affect cells in virtually every tissue of our body. So, it makes sense that optimal levels of thyroid hormone are required for us to feel our best. It’s unsurprising that our yearly physical with our family doc includes a measure of thyroid function in the form of TSH (aka thyroid stimulating hormone). This is a indirect measure of thyroid function and can often tell us if our thyroid is working too hard (hyperthyroidism) or not hard enough (hypothyroidism). However, that one target doesn’t always give us the whole story…especially in those who are experiencing symptoms associated with hypothyroidism. Approximately 200 million people worldwide experience hypothyroidism, or low thyroid function. It has been referred to as a “silent epidemic” because it affects so many people though often goes undiagnosed. There can be a few different reasons why our thyroid is underactive and simply testing TSH won’t give us the whole picture. Plus, the reference ranges we use for TSH are quite wide and many patients who feel unwell are simply experiencing a subclinical hypothyroid picture (ie. their levels don’t fall into the “disease state” range but they are suboptimal and responsible for their symptoms). To make sure we don’t miss anything when it comes to your thyroid health, we run a comprehensive thyroid assessment. This is a blood test that measures thyroid hormones (free T3, free T4), thyroid stimulating hormone (TSH), Thyroid Peroxidase Antibody (TPO), Anti-thyroglobulin Antibody (TGAb), and reverse T3 (RT3). 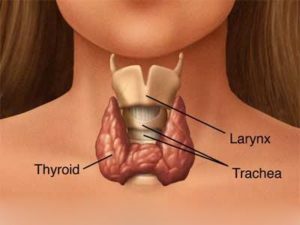 If you are concerned about your thyroid health. Book an appointment with Dr. Bozinovski online under ‘naturopathy’.